Help out staff and guests at your gathering with the vivid Squares Drink Ticket. 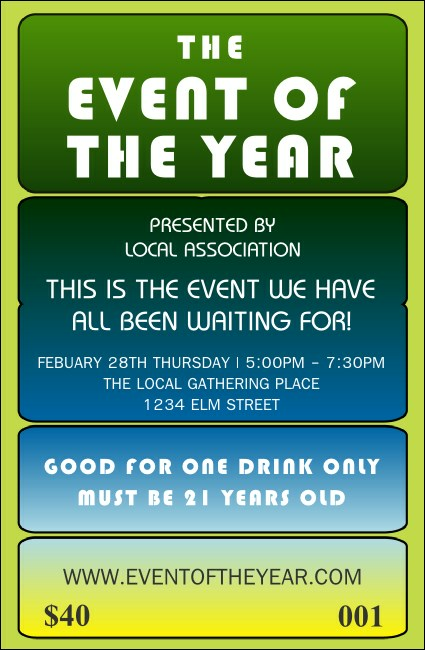 Bright blue, yellow, and green boxes hold your event and drink info, with retro white text for drink and event details. This versatile template can be used for concerts, art shows, community celebrations, parties ...the options are endless!